When Nine-Patch and Snowball Blocks are set together in this fun design, the stars come out! Red Hots is a modern update to a classic design, an instant heirloom for your family to enjoy. 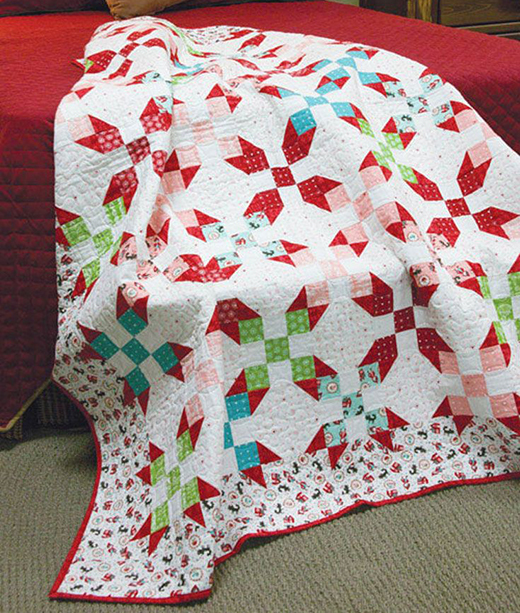 This Red Hots Baby Quilt Designed and Machine Quilted by SANDRA CLEMONS for mccallsquilting.